While nearly every state mandates minimum car insurance, each car owner may purchase additional coverage. If you’re considering adding comprehensive coverage to your policy, you might be weighing the added expense against the risks. Here we outline eight reasons you might wish you had comprehensive coverage. What Exactly Is Comprehensive Coverage? Comprehensive car insurance covers any damage to your vehicle that is not collision related. Comprehensive coverage does not pay for the costs of hitting another car or object. With the extensive flooding that occurred because of hurricanes in 2017, more motorists are purchasing this insurance to keep their cars protected. Last year, thousands of car owners lost their vehicles due to devastation from Hurricane Harvey and Irma. If you live in an area prone to flooding or hurricanes, it is imperative to carry this insurance. You’ve probably had a close call hitting a deer more times than you would like. If you live somewhere wild animals appear on the road frequently, it is smart to get comprehensive coverage. You are cruising down the road and suddenly a rock slams into your windshield. Now you have a nice crack in the middle of your view. Consider this type of protection if you know you do a lot of highway driving. Yes, it can happen! Several factors, such as overheating or fuel leaks, could cause your car to catch fire. If your vehicle is damaged or utterly inoperable after a fire, you may be out of luck without full insurance protection. Henny Penny thought acorns were falling from the sky, but as a car owner, you need to worry about much more than that. Falling trees after storms or even hail can cause extreme damage to your vehicle. Although you would like to think that car theft would never happen to you, not having comprehensive coverage puts yourself at risk. If you do not carry this coverage, a stolen car could turn into a nightmare. You wake up to go to work one morning, and you discover that your car window is smashed in. While it’s an awful way to start the day, you can handle it much better knowing you have coverage. 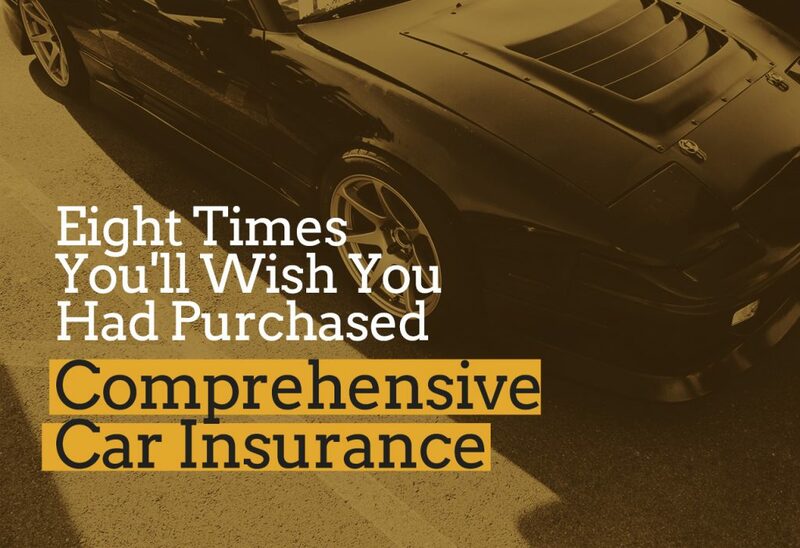 While carrying comprehensive car insurance will raise your monthly premium, you will save money if any of these situations occur. Especially after a disaster, knowing your car is not fully covered only makes matters worse. Deciding to purchase comprehensive insurance guards against many situations that life may throw your way. Have peace of mind knowing that your car is covered in almost any situation.